Tanya Pearson AC '16 pays homage to pioneering women rockers by documenting their contributions. Tanya Pearson AC ’16 was born to rock. She went to her first concert—The Kinks—at 10, ditched the alto sax for the electric guitar as a teenager, “inhaled” music magazines and played in any number of bands. The ’90s were a great time for women in rock, she says, citing L7, Hole, The Breeders and Veruca Salt. But by the time Pearson, now 35, found her way to Smith, most of these bands had “just disappeared.” “What happened to them?” she asks. “Where did they go? I want to make sure that their contributions are documented. 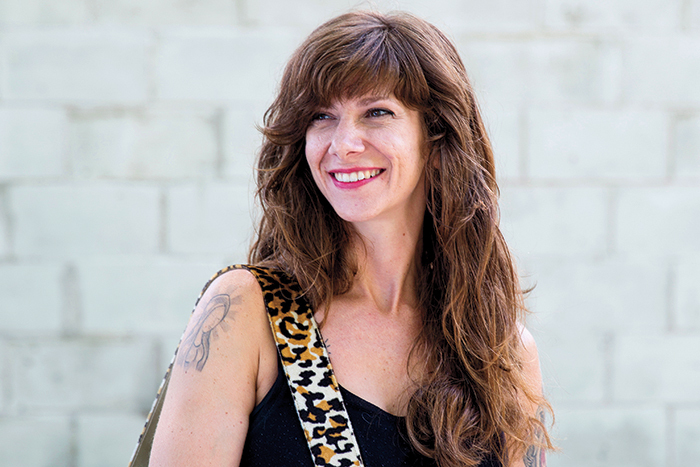 So the American studies major and archives concentrator created the first-of-its-kind Women of Rock Oral History Project, with Veruca Salt co-founders Nina Gordon and Louise Post providing Pearson’s inaugural interview. 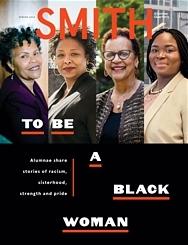 The project, part of the Sophia Smith Collection, earned Pearson a $25,000 Helen Gurley Brown Magic Grant (awarded to Ada Comstock Scholars and recent Ada alumnae) and the attention of the University of Massachusetts Press, which will publish a book of her interviews with pioneering women rockers. I took an oral history course here at Smith. I was hooked right away because I love talking to people. I’m nosy. It’s a dream to have someone for three hours and be able to ask them anything you want. I worked in the archives for three years. The Sophia Smith Collection has a zine collection focused on the 1990s–early 2000s riot grrrl movement and a women’s music collection focused on figureheads of the ’60s and ’70s women’s music scene, like Cris Williamson. And that’s it. I started doing some research to see if any oral histories of women in rock music existed. I didn’t find much, and I was surprised. I decided this was something I really wanted to do. It’s the most passionate I’ve ever been about something. At first, I just interviewed people I liked. Veruca Salt was the first female-fronted band that I was really obsessed with. They were like my Beatles when I was younger. I had a band in high school, and all I did was rip their songs off. It’s really embarrassing now. Since then, my goal has been to include women who aren’t that famous or who haven’t been as recognized as I think they should be: Cherie Currie, the lead singer from The Runaways. Gail Ann Dorsey, David Bowie’s bassist for 20 years and a top session musician. Also Lydia Lunch, one of the most important figures in New York’s no wave scene, and Alice Bag of the LA punk scene in the 1970s. I’m not sure if there are more young women playing in bands now, but I’ve never seen so many all-girl bands or female-fronted bands playing and being written about. Also the amount of bands with gender-nonconforming people or trans people. We’re still not where we should be, but I think we’re getting there.